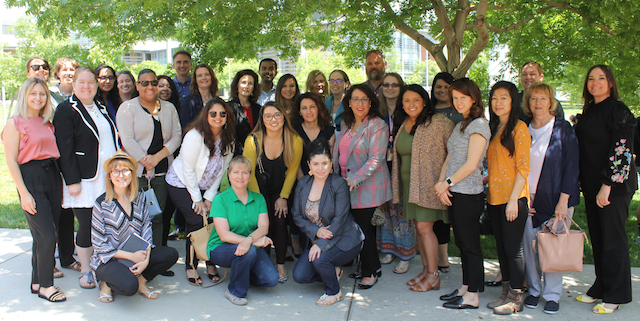 The UC Merced Career Advancement Mentorship Program (CAMP) is a volunteer career development program that matches experienced UC Merced staff (mentors) with staff members (mentees) seeking mentoring and professional development. This online, self-directed career development portal is available to all UC employees seeking to advance their career. Career Development is a focus area for our staff and UC is excited to provide a resource that supports employees in driving their UC career. There is no cost to UC employees or their departments for the use of this online career development portal. NEO is mandatory for all newly hired non-faculty, non-academic, non-student staff and registration is required. Direct supervisors are invited and encouraged to attend, participate and partner with their new employee during the in-person orientation. New staff members are expected to attend NEO within the first 60 days of starting employment with UC Merced. NEO is mandatory for represented and non-represented career staff and for all contract employees whose contract exceeds 12 months in duration. The Learn at Work Program uses a participant-centered, culturally-responsive model of teaching by providing experiential learning opportunities for on-the-job learning for staff members at UC Merced. Volunteer instructors are integral to the success of the Learn at Work Program. Volunteers instructors are subject-matter experts who donate their time leading courses, workshops and training sessions during fall, spring, and summer semesters.